The R&S®CMU200 universal radio communication tester brings cost effectiveness through a variety of features, with extremely fast measurement speed and very high accuracy. 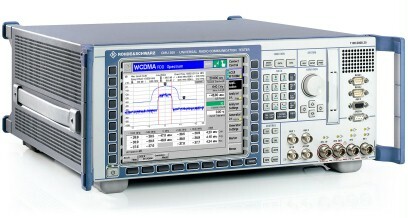 The R&S®CMU200 universal radio communication tester brings cost effectiveness through a variety of features, with extremely fast measurement speed and very high accuracy. In addition, the secondary remote addressing of the tester‘s modular architecture makes for intelligent and autonomous processing of complete measurement tasks and fast control program design. The R&S®CMU200 offers the hardware and software options necessary to handle your 3.5G, 3G, 2.5G and previous generation testing applications, including analog. 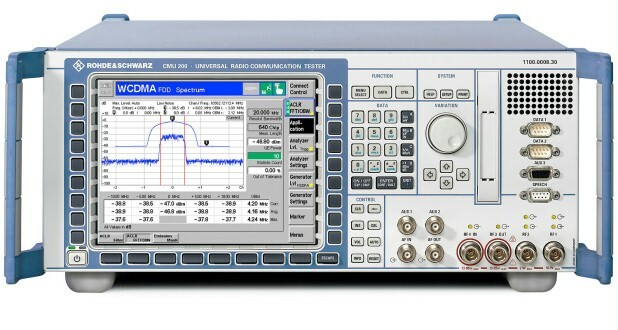 R&S®CMUgo offers versatile automatic test configurations for the various wireless networks supported by the R&S®CMU200. This software provides powerful functions for servicing mobile phones and fulfills the related R&D requirements, such as predefined test items to cover the specification requirements from the various mobile communications standards. The R&S®CMUgo has been designed to be a very straightforward and easy-to-use software application. Test sequences for every mobile radio standard supported by the R&S®CMU200 can be assembled with just a few mouse clicks with input fields available for configuring all essential RF parameters, and the tolerances for the individual measurements can be changed. If no special requirements for tolerances exist, the software uses the tolerances defined in the specification. In addition, the user-friendly graphical display makes it easy to work with the test configuration without requiring in-depth technical knowledge. R&S®CMUgo also provides an elaborate reporting feature whereby the contents of the different tests performed can be configured to be displayed in a variety of ways. Display modes with the output of tolerance values or merely with measured values are available at just the click of a button. If preferred, you can also output only a summary of the test. Furthermore, test reports can be configured to be automatically saved on a file server with a possible database link, or they can be exported in other conventional data formats such as XML.